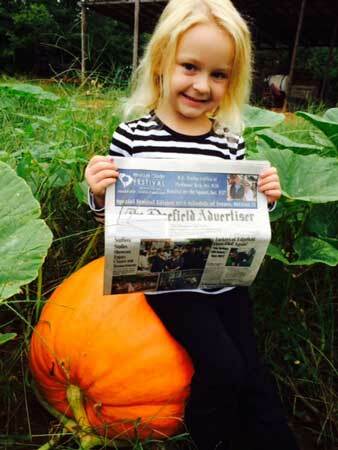 Olyvia Wall, age 6, daughter of Richard and Ginny Wall, took the Advertiser to her pumpkin patch. She is sitting on her biggest and favorite pumpkin. Olyvia planted the pumpkins in early July and watered them for three months.